A contract was agreed upon on August 3, 1929 between the Board of Supervisors of Brush Creek Township, Fulton County, PA, and Claude Smith, for the for the consideration of $362.50, for him to construct a building on township property in the village of Emmaville, along old Route 126 near Crystal Spring, Pa. 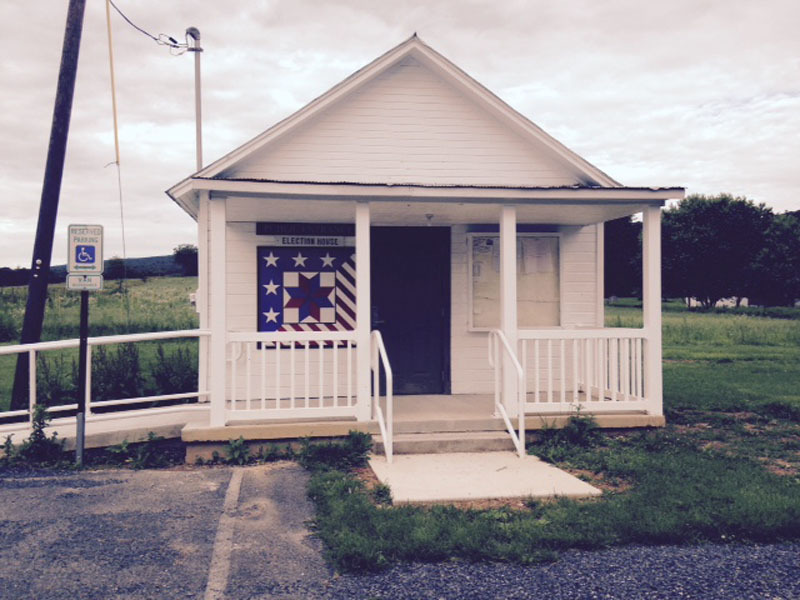 This building is used for Township meetings and serves as the Election House for Brush Creek Township. The building was constructed by Claude Smith, and was to be completed in time for the Supervisors meeting to be held on Sept. 17, 1929. The Board of supervisors consisted of Clyde Akers, John F. Smith, and Watson E. Crawford and the contract between the board of supervisors and Claude Smith was witnessed by George Lynch and Irvin Akers. A True Copy attached to the deed states that on November 3, 1974, Claude Smith stated to Bernard Barton, then Secretary of Brush Creek Township, that Claude’s wife, Amy, had helped construct the building, and also that Sherman Clevenger had helped for 2 days.